After the limited release of their digital single "Disaster/UNBREAKABLE", drummer Natsu and guitarist Daichi announced to their fans through their Ameblo blogs that the band will be releasing their first full album entitled "GRIMOIRE" on May 29th 2013. 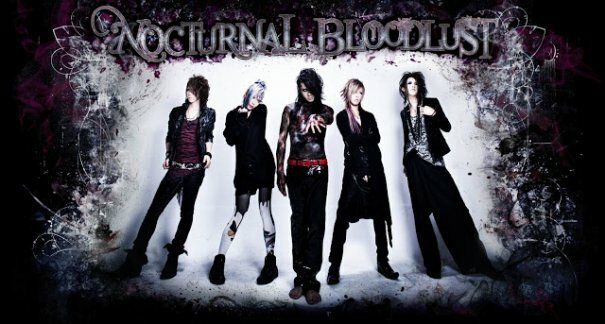 Nocturnal Bloodlust previously announced their upcoming Japan tour "ART OF AGRESSION". If you attend the opening live for their tour on May 24th at Ikebukuro Edge, you can pick up a pre-release of the album! The finale of the tour will be held at Shibuya WWW on July 26th. Tickets are ¥3000 presold and ¥3500 at the door.